In the past years Swedish saxophonist and bandleader Martin Küchen has made quite a name for himself, with the much acclaimed band "Angles", with his solo performances, with his more funky expansive "Exploding Customer", with "Looper", with "Chip Shop Music", with "All Included", and probably some more, but equally with the great "Trespass Trio", a real trio with Per Zanussi on bass and Raymond Strid on drums. I write a "real trio", because even if the compositions are mainly Küchen's - and familiar from other albums - all three musicians contribute equally to the sound and where the music goes. 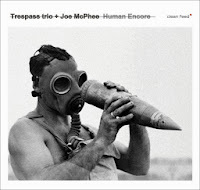 Now the band expands with nobody less than Joe McPhee, whose phenomenal powerful and tender tenor sax sound fits perfectly well with the overall sound of the trio, but his musical vision strongly matches it too. Sorry, McPhee of course also doubles on pocket trumpet - his first instrument actually before he learned to play sax - and this sound is as welcome as the tenor in the trio's open embrace. 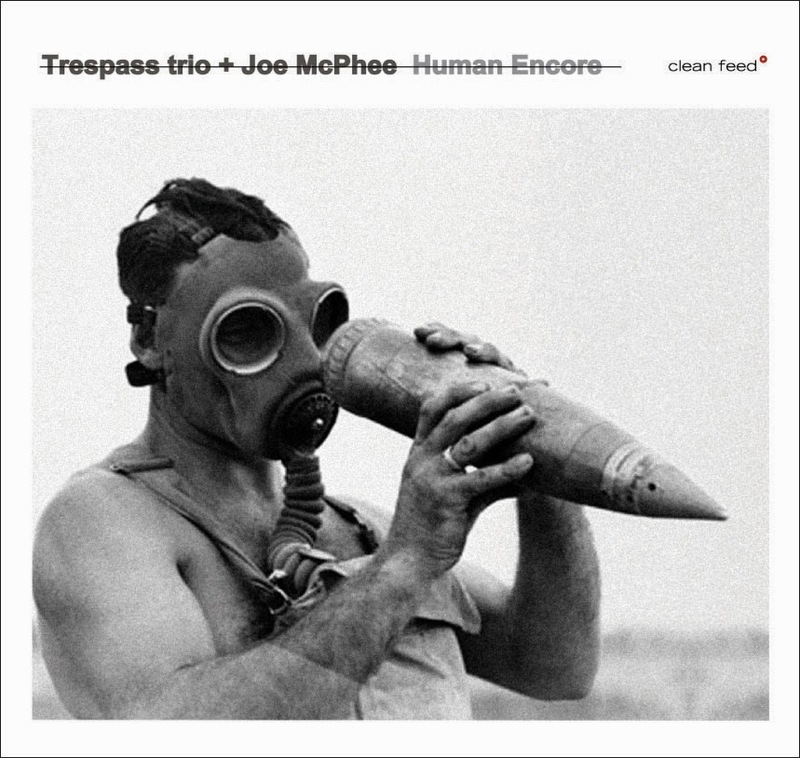 Like with Trio X, McPhee is comfortable with slow, bluesy music that freely improvises around set themes, as is the case here. McPhee himself adds three compositions himself to this live performance, and it is obvious that the trio delivers their best efforts in the presence of their honored guest. Küchen's repertoire becomes familiar, here with "Bruder Beda Ist Nicht Mehr" and "In Our Midst", two grand compositions, yet we get new material too, with "Xe" and "A Desert On Fire, A Forest", again inspired by the intolerance of nations (tribes?) fighting each other, with the latter referring to Palestine in 1948. And the music? It is heartfelt, passionate, with four musicians giving their very best, getting the audience clearly on the edge of their chairs, or at least with ears wide open if there were no chairs on this memorable date in Salão, Brazil in June 2012, the music is warm, welcoming and especially fierce and more uptempo in the middle part of the album, when McPhee's pieces are being played, but also then, the sound matches well, the emotions flare up in the heat and intensity of the playing, offering Zanussi also his solo moment and Strid the chance to energise this great quartet. Fans of Trio X will love this album, as much as fans of Trespass trio, confirming again that great musicians can find each other blindly, as long as they share the same musical vision, which is clearly the case here. I believe the bassist's given name is "Per" and not "Paul". And I could not agree more with your synopsis.... I would go as far as 4 1/2 stars, the half-star for a most uncommon musical empathy. Hi Jeff, thanks ... my mistake ... too fast again. Of course it's "Per".